Posted in: ATP, Chennai, Doha, Steen Kirby. 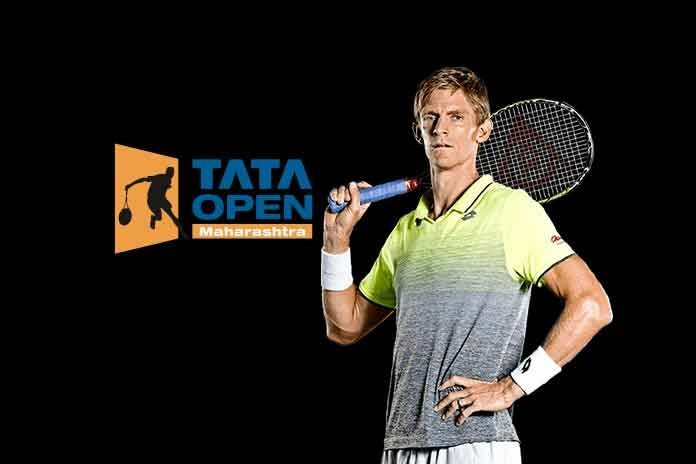 Tagged: Aircel Open, Alejandro Falla, atp, ATP 250, ATP 250 World Tour, ATP Chennai, ATP Doha, ATP World Tour, benjamin becker, Borna Coric, chennai, Chennai Aircel Open, Chennai Open, Chennai Tennis, david ferrer, david goffin, doha, Doha Open, Doha Tennis, Exxon Mobil Open, ExxonMobil Open, feliciano lopez, fernando verdasco, Indian Tennis, Jan-Lennard Struff, men's tennis, Mens Tennis Prediction, Mens Tennis Preview, novak djokovic, Peter Gojowczyk, Philipp Kohlschreiber, Prediction, preview, Qatar Exxon Mobil Open, Qatar Tennis, rafael nadal, Ramkumar Ramanathan, Roberto Bautista Agut, Robin Haase, Simone Bolelli, Stan Wawrinka, tatsuma ito, tennis, Tennis Prediction, Tennis Preview, Teymuraz Gabashvili, tomas berdych. Doha again features a stacked field of four top 10 players, and all the seeds ranked in the top 30 in the world. Gabashvili shocked Verdasco at the Aussie Open last year and the Spaniard will be looking to avenge that loss in the opening round of Doha. Gabashvili reached a career high ranking in 2014 at 52 in the world but he still finished a sub .500 19-25 on the season at the ATP level with his best results being a trio of ATP quarterfinals. Gaba has always been a journeyman and is far less accomplished than Verdasco who went 26-20 on the year with one ATP title and a pair of ATP semifinals his most notable results in 2014. Even with that h2h upset, Verdasco is favored to advance and I expect him to do so. Kohli finished the year 37-25 with one ATP title in 2014. It wasn’t his best season on tour, but the German veteran held his own and finished the year in the top 25 yet again. Struff broke into the top 50 for part of 2014, and the German who is seven years younger than his countryman reached three ATP semifinals in 2014. Struff is talented across surfaces, but has yet to reach the consistency level needed to keep himself as a full time competitor on the main tour. He will have a shot at upsetting Kohli here, and this is a toss-up match for me. Bolelli had a resurgent season in 2014, finishing up in the top 60, which was powered by four challenger titles. The Italian found himself last season after starting the year outside the top 300 and is back to being a full time ATP competitor. Becker is another veteran who had a resurgent season in 2014. He peaked at a career high of 35 in the world, and finished ranked inside the top 40. He went 27-26 at the ATP level last year reaching an ATP final and two ATP semifinals. He finished the year strong with semis in Tokyo and a trio of quarterfinal appearances in Kuala Lumpur, Basel, and Vienna. The two veterans have never met, and this match could go either way. I’m picking the powerful ball striker Becker myself. Doha paid big bucks to convince the world number one Djokovic to start his 2015 ATP campaign off in the Middle Eastern nation. Novak will be making his debut in Qatar and faces his countryman Dusan Lajovic first up. Given Lajovic and Novak are Davis Cup teammates, they should be very familiar with each others games. I don’t expect the top Serb to have any trouble with his countryman, and he also should ease past Sergiy Stakhovsky in round 2, assuming Stako avoids a shock defeat to Qatari wild card Jabor Mohammed Ali Mutawa, who doesn’t even have an ATP ranking. In the quarters, Novak should cruise past the big serving Ivo Karlovic, with the hard hitting Lukas Rosol, or the crafty veteran Mikhail Youzhny, who opens with a qualifier, also options to reach the quarters. Youzhny had a very poor 2014 that saw him drop out of the top 40 with an 18-23 record. Rosol peaked inside the top 30 in 2014 but finished the year just 1-9, Karlovic has beaten him twice before including last fall in Basel. Karlovic and Djokovic haven’t met since 2008, and surprisingly Karlovic has won both hard court meetings, but that was quite some time ago. David Ferrer had a down season in 2014, though he still won an ATP title and finished 54-24 on the season. Ferrer is in danger of dropping out of the top 10 for the first time in almost five years. At 32 he may be slowing down but I still expect the hard working Spaniard to beat a qualifier, and then Verdasco or Gabashvili. He has won the last seven meetings against Verdasco including both meetings in the fall of 2014 without dropping a set. He was upset by Gabashvili on clay last year but that would once again be a very unlikely result. Look for a Ferrer vs. Kohlschreiber or Struff quarterfinal, as one of the Germans just needs to be the exciting but inconsistent Dustin Brown, or dirtballer Paolo Lorenzi in round 2. Ferrer is 6-0 against Kohli since 2009, so I tip him to reach the semis, Struff could also challenge but Ferrer would have to be favored. 2014 Doha champ Rafa Nadal will be defending his title with the cloud of his appendix surgery in the off-season hanging over him. Nadal was dominated by Andy Murray in the Abu Dhabi exhibition a couple of days ago, looking to be in very poor form, but still he won’t have to face an opponent the caliber of Murray in his route to the semifinals. He opens against a qualifier, then will face Ivan Dodig or wild card Mohamed Safwat of Egypt in round 2, Dodig is looking to get himself back to a consistent ATP level, but it is still unlikely he has enough game to get past even a rusty Nadal. In the quarterfinals, the toughest opponent for Nadal would be either 8 seed Leo Mayer, who plays his best on clay, or the Italian veteran Andreas Seppi who declined in 2014, posting a sub .500 24-30 record. Joao Souza, another clay courter, and Tunisian wild card Malek Jaziri are also options. Jaziri plays some of his most inspired tennis when in the Middle East, but he’s still a career journeyman. Look for Mayer, who had a breakthrough 2014, and reached the top 30 in the rankings with an ATP title and a 28-20 record, to reach the quarterfinals before falling to Nadal who is 4-0 in his career against him. Tomas Berdych, who won an exhibition in Thailand to start off his 2015, opens with Denis Istomin in round 1. Istomin is a tough opponent for the number 3 seed in a 250 level event, but that said Berdych is 3-0 in his career against the Uzbek number one, and has a superior skillset, so he should advance. Look for Berdy to also cruise past Juan Monaco or a qualifier in round 2, before facing off with Bolelli/Becker or Richard Gasquet/Pablo Andujar in the quarterfinals. Gasquet fell from the top 20 in 2014, while Andujar finished inside the top 45 and took an ATP title. I expect the 2013 Doha champion Gasquet to defeat Andujar. Bolelli or Becker could give him trouble, but he’s 5-0 in his career against Bolelli, and 2-0 against Becker, so past results are very much in his favor. Berdych won his only meeting against Gasquet in 2014, but they have split their last four hard court meetings 2-2. Given Berdych performed better last year, and recently, I expect the Czech to get through to the semifinals. Becker will have a tough path if he is going to put up a good result to start the year in Doha, given his first match is against Bolelli, who could be a dark horse in his own right, and then Gasuet/Andujar and almost certainly Berdych. That said if he can pull off three big wins, he would be in the semis against Nadal or a weaker opponent with a punchers chance to reach the final. I’d also consider JL Struff a dark horse this week. Djokovic has won seven consecutive meetings against Ferrer, including both meetings last year, and I don’t see any reason why he wouldn’t win the matchup again. Berdych hasn’t beaten Nadal since 2006, and has been dominated by the Spaniard in almost every head to head meeting, that said I have a hunch Rafa still has some ailments and may not even want to play all the way through to the final. Djokovic beat Berdych both times last year and the total set score in those meetings was 24-6, thus Novak has to be a heavy favorite to win the Doha title in his debut. Three top 20 players highlight the Chennai field, as all of the seeds are ranked within the top 50 in the world. Chennai isn’t near as star studded as the other two events on tour this week, but it’s far from a weak tournament. The 18 year old Coric reached the top 100 in 2014 and after primarily posting great results on the challenger tour, he qualified for the US Open, reaching the second round, and upset Ernests Gulbis and Rafael Nadal in Basel, en route to the semifinals. Haase finished 2014 strong with a challenger title, but he still finished ranked outside the top 80, and Coric will have a great shot at an upset win over an ATP regular. The match could go either way but I’m going with Coric to rise to the challenge and get himself to round 2. Falla beat Gojowczyk in Halle last year, but the 31 year old Colombian appears to be in a decline as he finished 2014 ranked outside the top 80, and went just 11-17 at the ATP level. Gojo meanwhile is rising, at 25, he’s at a career high ranking of 79 and he will be looking to play more ATP main draw level matches in 2015. The German won 2 challenger titles, posted an ATP semifinal in Doha, and qualified for the USO and AO. His best results have been on hard courts, and he appears poised for a breakthrough. I favor him to dispatch the Colombian veteran to reach round 2. The 20 year old Indian Ramanathan, who (almost) exclusively played challengers and futures in 2014, shocked the tennis world last year by qualifying in Chennai and defeating his higher ranked, and more accomplished countryman Somdev Devvarman to reach the second round. This year he gets a wild card, and he’ll have another chance to surprise against Tatsuma Ito, who is ranked just inside the top 100. Ito finished the year with a challenger final and he’s had most of his success at that level. Ito shocked Stan Wawrinka in Tokyo last year, for the best win of his career, but he rarely plays up to that level, I expect Ito win but Ramanathan will certainly have the crowd behind him. Defending and two time champ Stan Wawrinka will take the first step to trying to retaining his top 5 ranking in Chennai, where he will start his 2015 campaign after a breakthrough 2014 that saw him win a Grand Slam and a Masters Title, along with reach the top 5 for the first time in his career. He will have a target on his back, most likely against Coric, in round 2, but barring another shocking upset, he should get through to the quarterfinals where 8 seed Gilles Muller, or perhaps Igor Sijsling/Edouard Roger-Vasselin/Elias Ymer, a wild card, await. Muller had a resurgent 2014 that saw him return to the top 50 after winning five challenger titles. Sijsling and ERV had pedestrian years in 2014, and Ymer has yet to emerge, even though he’s a young talent, so I expect a Wawrinka over Muller quarterfinal. ERV is a defending finalist, and he faced Wawrinka in that final, he has a lot of points to defend this week. David Goffin reached the top 25 for the first time in his career in 2014, going on an incredible tear in the second half of the season to finish the year 25-15 with two ATP titles. He also reached the final in Basel and won four challenger titles. Goffin won’t be near as much of an underdog this season, and will be taking on a full time ATP schedule one would expect. His first match should be a win against a qualifier or Ricardas Berankis, a formerly promising young star who has yet to live up to his potential. After that, I expect Goffin to cruise to the semis, whether he faces fellow young gun Jiri Vesely, who opens with a qualifier, or Marcel Granollers/Andreas Haider-Maurer. Granollers went just 19-28 at the ATP level last year, and along with AHM, he plays his best tennis on clay. Vesely is at a career high ranking of 66, and went 16-17 at the ATP level last year. The 21 year old hasn’t done as well for himself as Goffin has though so I expect the Belgian to win their first career meeting. Feliciano Lopez, burst into the top 15 in 2014, and at 32 years old, going on 33, he posted a 39-26 record with 1 ATP title, an ATP final and two Masters semifinals. The left handed Spaniard, whose tennis lived up to his popular appearance in 2014, will open against Lukas Lacko, or a qualifier in round 1, and I expect him to get through to the quarters and dispatch most likely Guillermo Garcia-Lopez, the five seed, at that stage. GGL will need to beat the Ramanathan/Ito winner, along with a qualifier in round 1. GGL finished 25-26 in 2014, with an ATP title but he slumped hard at the end of the year, finishing 0-5 after the US Open. He has the ability to play skillful, and exciting tennis, but he struggles with consistency. He should be good enough to win his first couple of matches but I favor Lopez to reach the semis. Roberto Bautista Agut broke through to the top 15 in 2014, and will now be gunning for the top 10 in 2015. He went 45-23 with 2 ATP titles last year and performed well across surfaces. He’s a former finalist in Chennai and assuming he can beat Gojowczyk/Falla for a winning start in 2015, he should be able to ease through to a semifinal against Lopez by defeating Rendy Lu, the six seed. Lu opens with Indian favorite Somdev Devvarman, a wild card, and assuming he wins, will face the Pablo Carreno Busta/Alejandro Gonzalez winner. Coric has the talent to make a breakthrough, and if Wawrinka wilts under the pressure of expectations, as happened at times last year, he could pull off another top 5 upset. If he does that, Goffin, who he lost to in Basel, would be a tough semifinal opponent (and that’s if he wins the quarterfinal match), but even the semis would be a great result for the teenager. I’m projecting an upset in the semifinals, as I feel Goffin will shock Wawrinka, it’s just a hunch but I have a feeling Stan won’t be able to live up to expectations as the biggest star at this tournament, while Goffin will have a less stressful tournament. Lopez beat RBA in Toronto last year, but I feel RBA is a slightly better player, and given he’s had success in Chennai before, I put him through to the final my bracket. Any of the top four seeds could take the title in Chennai, but I’m going with RBA because he’s 2-0 in his career against Goffin, and has the forehand to deal with the crafty Belgian. Goffin is also likely to be more fatigued at this stage, and no matter who wins, Chennai looks to be a very interesting way to start off the 2015 season.